ca.1893 Emil Carlsen [1848-1932], the artist . 1993 Sotheby’s, New York, NY, “Sale”, September 23. – Sotheby’s, New York, NY, sale catalog, “Sale”, October 6, 2017, lot #142, illustrated: color on page 98. – Sotheby’s, New York, NY, sale catalog, “Sale”, September 23, 1993, lot #144, illustrated: b&w. – Melons and cherries, ca.1893. 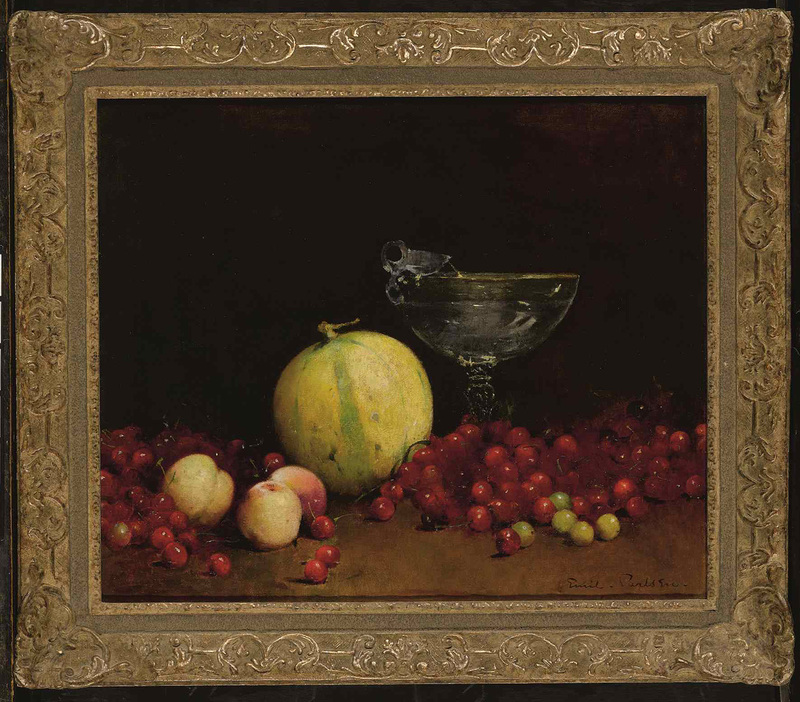 – Still life with red currants,1894. – Still life with fruit and wine, 1893.